The Raritan EMX2-111-KIT is a Smart rack controller with 1 x RJ-12 sensor port, expandable up to 16 connected sensors using Sensor Hubs. 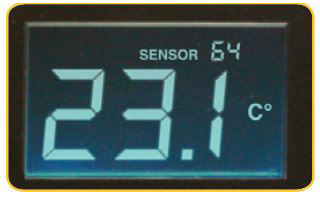 Kit includes 1 x DPX-T3H1 - (3) temperature, (1) humidity sensors. 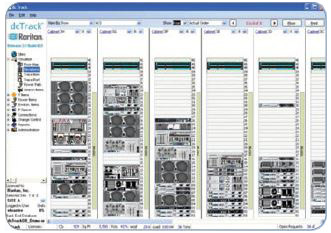 Raritan's smart rack controller allows you to use any of Raritan's sensors such as temperature and humidity, Raritan's Power IQ energy management software, or the asset management solution composed of the AMT and AMS intelligent asset tags, and dcTrack data center infrastructure management (DCIM) software or a third-party asset management system with SNMP capability. 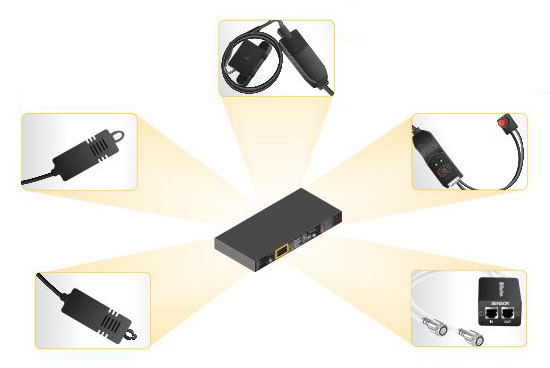 The 1U device functions as an SNMP gateway with ports for Raritan's 1-Wire sensors, as well as ports for RS-485 serial, KVM, DB-9 modem/console, USB-A and USB-B. Provides 10/100 Ethernet connection to Raritan’s Power IQ energy management software, dcTrack data center infrastructure management (DCIM) software or third-party applications. 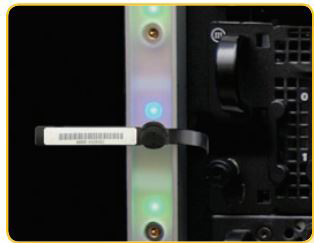 Raritan Asset Management Tags (AMT): An electronic asset tag with a unique ID attaches to an IT device in 1U rack increments. dcTrack – Using Raritan’s intelligent Asset Management Tags (AMT) and Asset Management Sensors (AMS), EMX provides real-time asset location to dcTrack, Raritan’s data center infrastructure management (DCIM) software providing accurate asset location tracking to the 1U level in a rack. Power IQ – Using Raritan’s environment sensors, EMX acts as a gateway to feed data such as temperature, humidity, airflow, air pressure and contact closure information to Power IQ, Raritan’s energy management and data center monitoring software. Power IQ can create a variety of reports and charts. It can also send alerts when thresholds are crossed. 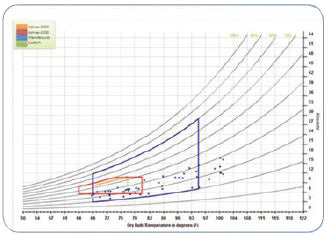 With the unique Power IQ cooling chart you can understand if you are compliant with manufacturers’ and industry-accepted recommendations, and project how much you can save by increasing room ambient temperatures. EMX Smart Rack Controller w/ 1 x RJ-12 sensor port - Supports Temperature, Humidity, USB Camera, Air Pressure, and Air Flow sensors. Expandable up to 16 sensor ports. EMX Smart Rack Controller w/ 8 x RJ-12 sensor ports - Supports Temperature, Humidity, Contact Closure, Air Pressure, Air Flow, USB Camera and Water Leak sensors. 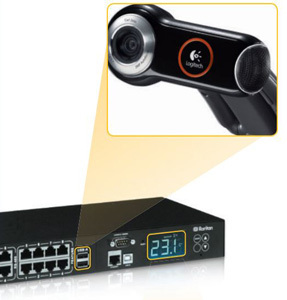 Expandable up to 128 sensor ports.